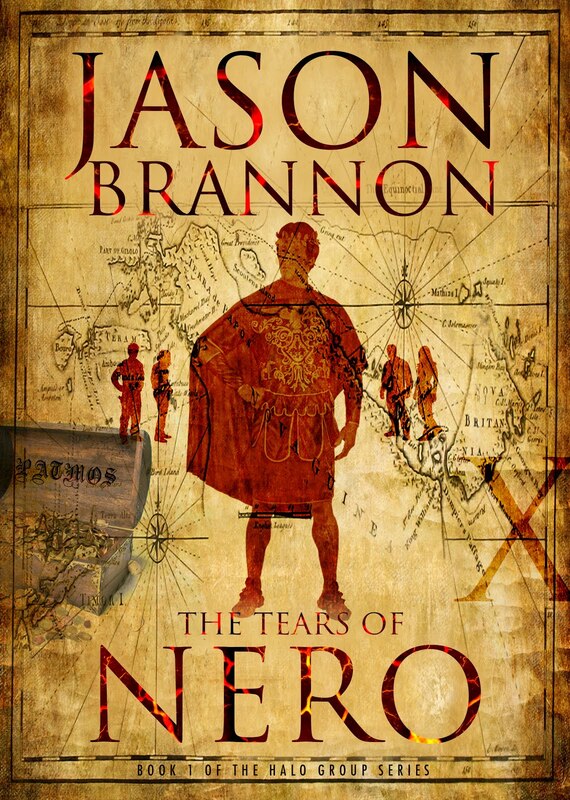 Here is a look at the new cover for the ebook version of The Tears of Nero. The Tears of Nero is what you might get if you crossed The X-Files, Lost, and Ten Little Indians....oh, and throw in a fallen angel with an axe to grind in for good measure! It is also Book 1 in The Halo Group Series. Continue reading for information about Book 2 in the series which has a working title of, Beware the Death Angel. I have been a huge fan of Wayward Pines since the show first aired. It has all of the things I enjoy-suspense, mystery, a little dash of horror, and elements of sci-fi. M. Night Shyamalan is involved which is a definite plus for me as well (yes, I am still a fan although his last couple of movies have missed the mark for me...really looking forward to The Visit after seeing the trailer though). But I digress. Back to Wayward Pines. The show based on Blake Crouch's three-book series is one of those shows I tell people about and try to convince them to watch. Suffice to say, I'm a fan (both of the books and the show itself). However, in the past couple of weeks, I haven't felt that same jolt of adrenaline or the drive to keep watching as I did in the first five episodes. What could be the reason for that? Simple. They pulled back the curtain and revealed Oz to be an ordinary man with an over-sized voice. What do I mean by that? The reveal in episode six about what was really going on in the sleepy little town of Wayward Pines ruined the show for me in some ways. I enjoyed Wayward Pines better when there was still a sense of mystery about the town's purpose and the people running it. It was more fun when I didn't know the answers to all of the questions that were swirling around in the ether. Now, that's not to say I wanted them to go all Lost on us and add more questions in each episode without answering any of the ones posed in previous episodes. Far from it. Everything just went from being completely steeped in mystery to completely answered in one episode. Instead of leaving some of the answers to my imagination (which added to the show's enjoyment for me), the writers of the show showed all of the cards in their hand at once. One of the reasons I was most hopeful about the show is that I knew there were only ten episodes which meant that the story was already planned out and had a definitive beginning, middle, and end. The writers weren't going to take seven seasons like Lost to address questions that even they didn't know the answers to (as an aside-I did enjoy Lost despite it being problematic in a lot of ways for me). I only wish they had taken more than one episode to reveal the truth in Wayward Pines. Of course, I'm sure the constraints of having only ten episodes to tell the complete story may have hampered the pacing in some ways. Another thing that I feel has severely detracted from the show is the complete shift in tone within the town. The threat of saying or doing the wrong thing no longer seems to have the teeth it did in the beginning. At the start of the series everything about Wayward Pines was creepy and bizarre. Menace lurked around every corner. Make an off-hand comment about the past and you would find yourself being reckoned in the square in front of everyone. Neglect to answer the phone and bad things would surely befall you. The rules of living in Wayward Pines were hard and firm and any deviation from those rules would result in bodily harm or death. Now, as the show focuses more on Oz behind his curtain (or for those watching the show...David Pilcher in his bunker) and the inner workings of the town, the suspense is largely gone. The town seems to move about much more freely than it did in those first few episodes, and those in surveillance aren't nearly as malevolent or omniscient as we were led to believe initially. The threat has a face now, and it isn't quite as scary or intimidating as I imagined. Oz is just a nerdy little guy with glasses who has developed a god complex and convinced himself that it is his job to ensure the survival of the human race at all costs. All of that probably makes it seem like I have lost fondness for the show which would be incorrect. 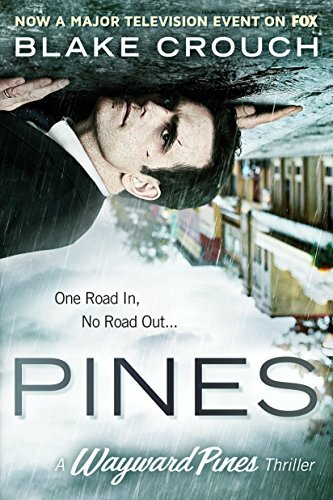 Wayward Pines is still my favorite show on television at the moment, and I suspect there are some twists and turns that we haven't foreseen yet. The fact that the show has caused me to think in such depth about plot twists, character motivations, and the like is a testament to how good it really is given that I purge my short term memory of most shows I watch not long after I turn the television set off. Favorite parts of the show thus far: The first five episodes are creepy, suspenseful, and had me scratching my head in a good way about what was really going on in Wayward Pines. Terence Howard really chews up the scenery as Sheriff Pope. Matt Dillon is equally great as Ethan Burke. Melissa Leo gives an effectively creepy portrayal of Nurse Pam that made me want to reach through my screen at times and choke her myself. Least favorite parts of the show: The town's secrets are revealed too quickly and in one fell swoop in episode six. Ms. Fisher, the teacher at Ben Burke's school, is annoying to watch in just about every scene. I'm still undecided on whether I like the explanation for Wayward Pines' existence and its reason for being (it still seems unlikely that they could have such a town with so many modern conveniences after being in cryogenic sleep for 2000 years...how would they have kept all of their supplies in tact for that long?). Overall: I definitely recommend Wayward Pines. It's a great show with a great premise. I have been interested since Day One and I plan to finish the both the series and the books. I'm currently running two giveaways in exchange for Twitter followers. 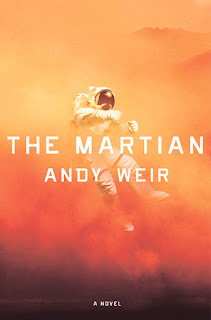 If you want a chance at winning Pines or The Martian then click the links and follow me. 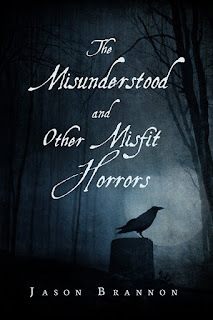 How about one of the stories from my new collection, The Misunderstood and Other Misfit Horrors? So without further ado, here's Beware the Death Angel! Happy reading! Heaps of dead leaves lined the streets of Smith’s Junction. Scarecrows, crudely fashioned out of broomsticks and old clothing, stood watch over the neighborhood. Fake spider-webbing clung to the eaves of each house like a fine layer of graveyard mist. White garbage bags filled with confetti had been made to look like ghosts floating above each roof. Stray strands of toilet paper dangled from a tree here and there-the remnants of teenage mischief. There was no denying that this was October country. Wallace piloted his Buick through dark streets like the ferryman’s skiff through black waters. He kept waiting for his headlights to outline the small moving shape of a superhero or ballerina or a zombie with a meat cleaver buried in its head, but there didn’t seem to be any kids out yet. He checked his watch. Nearly 7:30. Weird. He turned off on the boulevard, hoping to dodge as much Halloween traffic as possible. Above all else, he didn’t want to get trapped in a convoy of mini-vans. That didn’t seem to be a problem. The street was deserted, but it was far from empty. Although they had lived in this town for a month now, Wallace still hadn’t gotten used to the way people in the South piled their trash at the edge of the street. Normally they just put out the customary bags of garbage in black bags. Tonight, however, the people of Smith’s Junction had put out everything but the kitchen sink…and upon closer inspection there were even one or two of those as well. Old freezers, rusty wagons, wheelbarrows, galvanized metal buckets, trash cans, and a few discolored Igloo ice chests flanked either side of the blacktop. Wallace hadn’t lived here long enough to know if tomorrow was pick-up day or not. Still, it seemed like an awful lot of junk for one truck to haul. And this was a small town. One truck was all they had. He was just thinking about how much he disliked this prideless community when his cell phone rang. The unexpectedness of the call made him jump. He didn’t have to look at the I.D. to know it was Martha. She was the only one here who knew his number. For that matter, she was probably the only one in this hick town who even knew how to operate a cell phone. “Hey babe,” he said gruffly into the telephone. “I need you to do me a favor,” Martha said, getting right to the point. Wallace smiled. He hated the way she could manipulate him sometimes. Knowing it was useless to put off the inevitable, he turned the Buick around and headed to the market. Given that it was Halloween, he hoped the store would be deserted so he could make his purchase and run. But the parking lot was packed with people. Disgusted after several minutes of circling the parking lot in search of a spot, Wallace had to park on the other side of the street and walk over to the store. He recognized a few of the faces inside, but he didn’t know anybody’s name. They all stared at him with curiosity then turned their attentions back to the meat counter where the majority of the customers were gathered. Wallace snarled at the hicks. He hated this town. The shelves of Halloween candy were surprisingly full. Nobody seemed to give a rip about treating the children to a mouthful of cavities. They were more interested in what the butcher had to offer. The townspeople all looked like they were getting ready for a cookout, buying ribs and cutlets and sirloins and roasts. Strangely enough, the shelves with charcoal and lighter fluid were full too. Wallace supposed there might be some sort of tradition in the town that he hadn’t heard about, a Halloween festival or something. But the stern, worried expressions on each face made him think otherwise. These people didn’t look like they were preparing for a good time. Instead, they wore the masks of mourners picking out graveside flowers in a florist’s shop. The groans of disapproval from the crowd were immediate. Like The Pied Piper, Luke left the store with at least a dozen people following along behind him. It was apparent in the way they muttered and shuffled along that they weren’t happy. “I’ll give you $50 for that ribeye,” one man said as the mob surrounded Luke. Luke, seeing an opportunity to make a little profit, sold the ribeye and began systematically auctioning off the other two pounds of hamburger he’d just bought. He kept only one pound of hamburger for himself. “And why is that?” Wallace asked. Suddenly, all he wanted to do was to pick up Martha’s bag of candy and get home to his recliner. “I’m serious,” the butcher said, leaning over the counter to whisper his caveat. “Beware The Death Angel.” Something about the way he looked at Wallace made him realize the man truly believed what he was saying. Outside a fight had erupted over the last pound of hamburger meat. Two mechanics were slugging it out like prize-fighters. Apparently they believed in the Death Angel just as much as the butcher. Wallace wasn’t buying it. It was probably some hillbilly trick these inbreds were playing on him because he was from the city. “Only if I’m lucky,” Wallace muttered as he got in his Buick. Chunks of raw hamburger clung to his windshield like slugs, sliding slowly down the glass and leaving a slick spot in their wake. The remnants of that last pound of hamburger meat lay on the sidewalk. Obviously, both men had been so determined to get the meat for themselves that they had torn the package. Still, it looked like a lot of the meat had been scooped up and carried away. Ants had started to claim what was left. Cursing, Wallace turned on his wipers and shot some washer fluid onto the glass. It just made a bigger mess. But after several minutes the windshield was clear enough to see through. Wallace threw the Buick in reverse and headed home. Unlike before, there were people on the streets, but they weren’t trick-or-treating. They were carrying the meat they’d bought at Johnson’s Market out to the edge of the road and dumping it into the wagons, ice chests, buckets, and old freezers that Wallace had mistakenly confused for junk. Although it was foolish, the scene reminded him of those days long ago when he would spend a week with his grandfather on the farm. They had done something very similar when filling the troughs with animal feed. But Martha was busy dragging Wallace’s massive toolbox out to the side of the road. “The Death Angel?” he asked. Martha took the bag of Snickers and walked back toward the house. “What are we going to do?” Martha asked, suddenly fearful. Livid, Martha stomped back inside. Wallace thought about moving his toolbox and then decided to wait until after he’d eaten supper. He was hungry. The toolbox could wait. Martha didn’t say much during their meal. The doorbell didn’t ring either despite leaving the porch light on to hopefully attract a few sugar-hungry children. The unopened bag of Snickers sat in a kettle by the door. “Because it doesn’t deserve one,” Wallace fumed, backing away from the dinner table. They didn’t say anything to each other for the next couple of hours. Wallace watched an old John Wayne movie on TV. Martha busied herself with cleaning up the kitchen and washing a few loads of clothes. Neither of them mentioned the Death Angel although it was apparent that The Sands of Iwo Jima and dirty socks were the last things on their minds. When they went to bed, Wallace faced one wall and Martha faced the other. There was more distance than love between them that night. “11:40,” Wallace muttered, looking at the clock before shutting his eyes. “Seven o’clock is going to come early in the morning.” Martha didn’t reply. The icy silence between them was broken at eleven-fifty when the screaming started. At first Wallace wasn’t even sure he’d heard it. It was only as he sat up in bed and saw that Martha was awake too that he knew it was real. “You know it isn’t,” Martha said. Even in the dark, Wallace could see how pale her face had become. She was trembling. Wallace threw the comforter back and stumbled over to the window. Looking out, he couldn’t see anything. But the noises outside were louder. Trashcans and galvanized buckets were being knocked over. The noise was akin to the sound of a baseball bat smashing against a metal mailbox. Before Wallace could protest, she was already bounding down the stairs, heading for the kitchen. When he finally caught up to her, she was throwing icy bags of peas and carrots out of the freezer. “What on earth are you doing?” he asked her. “Will you get hold of yourself?” Wallace growled, grabbing Martha by the arm and dragging her away from the refrigerator. She pulled away and began hurling ice trays across the kitchen in an attempt to unearth any stray scrap of meat that she might have missed. “Martha, stop!” Wallace shouted, more worried than angry now. He’d never seen his wife act like this, and it scared him. But Martha didn’t stop, and neither did the screaming from up the street. Only when the freezer was completely empty and the refrigerator’s shelves were bare did Martha allow herself to rest. Wallace wasn’t sure how to proceed, but he did the only thing he knew. He kissed Martha on top of her head and pulled her close to him. “I wonder how many people won’t be around to see morning,” Martha said. Wallace suddenly couldn’t help himself. She was being foolish, and he was tired of it. One way or another, he was going to knock this lunacy out of her head. “I don’t want to hear another word about this,” he shouted, holding Martha at arm’s length. “Then go upstairs,” she told him firmly. But Wallace was stronger. Because Martha’s houseshoes gave her very little traction on the linoleum, she slid across the floor. Wallace didn’t stop pulling. Martha, however, had other ideas. She managed to grab one of the fireplace implements as Wallace dragged her toward the door. Before he could raise a hand to block her attack, Martha clubbed him in the back of the head. Wallace went down hard, immediately releasing his grip on his wife. At that moment, she knew that she had to make a decision. And quickly. The Death Angel would be making his way down the street, taking the offerings from those who left one and taking the lives of those who hadn’t. There was no meat to be found in their house. But there was one alternative. It was her only chance at survival. Martha wasn’t quite ready to die yet. Wallace opened his eyes slowly and was unsure of where he was at first. It was dark, and he seemed to be stuck in some sort of hole. But that wasn’t entirely right either as he realized that he was sitting in his oversized toolbox. Martha had knocked him out and somehow managed to drag him out here. He could feel the rage building in him and struggled frantically to free himself from the work box. She had thrown him out with the belief that the Death Angel would take him instead of her, and it infuriated him. One, because she had bought in to the whole nonsense. Two, because it showed how selfish she really was. Wallace stopped struggling when he heard Mrs. Olson from two houses down sobbing uncontrollably. And then the lamentations started afresh. Wallace strained to see who she was talking to, but all he could see was a dark furtive shape like smoke, a hazy black mist hovering around the empty toy wagon. Then the smoke began to clear. A pair of strong, translucent wings materialized from the smog. They were attached to a muscular frame made of black leather. Strong legs, powerful torso, arms that ended not in hands but in talons. A demon’s face with a masochist’s smile. White fangs tinted red. Yellow eyes. Two small spiraling horns ending in sharp points. A fallen angel in every sense of the word. It looked like something out of Gustave Dore’s depictions of Hell. The Death Angel smiled at Wallace and headed in his direction. “No,” he muttered to himself as he tried to free himself. It was only as he struggled that he realized Martha had bound his hands and feet with duct tape. The Death Angel came closer, morphing into black fog that crept and eddied along the ground. It was like watching a brewing thunderhead form and churn. “Martha,” Wallace screamed, hoping his wife would come to her senses and help him. But Martha made no move to come out of the house. Wallace craned his neck to search for her and saw her worried face staring back at him from one of the upstairs windows. She quickly pulled the curtains shut, unwilling to watch what was about to happen to her husband. Thankfully, the Death Angel was methodical and stopped one house down. Wallace tried to stand up and hop toward the house. But Martha had been thorough with the way she bound him. He managed to wriggle out of the truckbox only to fall flat on his face. The grass was wet and moist against his cheek. “Martha,” he screamed. But the light in the upstairs room went off. Like a frightened turtle, Martha wasn’t sticking her head out until she was certain the coast was clear. Wallace managed to turn himself over and watched in horror as the dark creature stuck its slanted head into what might have been a feeding trough and began to eat the raw meat. For a moment or two there was only the ripping of animal flesh and the smacking of black lips. Then Wallace saw The Death Angel lift its head and look at him once again. He could tell by the way it bared its teeth that it was smiling. It had probably been quite a while since it had gotten a live offering. He opened his mouth to scream when he heard something behind him. It was Martha with a pair of scissors. “Hurry,” Wallace implored, watching the beast as it stalked him. Martha held up the scissors as the dark fog wrapped them up like a thick blanket. Wallace screamed as Martha buried the scissors into his thigh. Immediately, crimson streams jettisoned into the air. The Death Angel moved faster. Wallace, seizing his only chance, lunged out at Martha with his bound feet. The kick hit her in the center of the chest, pushing her toward the beast. The Death Angel caught her and buried its teeth into her throat. The scream was short-lived, becoming little more than a watery gurgle. Wallace cried out as he watched his wife fall to the ground. Most of her throat was gone, and her eyes had the faraway look of a morphine addict. It wasn’t supposed to happen like this. But a split second of panic had changed everything. And still the Death Angel moved forward. Wallace trembled as it stood before him, its mouth painted with Martha’s blood. He closed his eyes, waiting for the moment when it ripped his head away from his shoulders to get at the hot blood within. But that never happened. Instead, it moved quietly on to the next house. Martha had been sacrifice enough to save Wallace’s life, and he felt sick at the thought of what he had done. He had given his own partner over to the Death Angel, and he lived as a result. Yes, she had tied him up with the intent of offering him to the beast. But her mind had been clouded by fear, by the certainty that she was going to die if she didn’t do something quickly. The worst thing about it was that she hadn’t resorted to that immediately. She had wanted to put some meat out like everyone else had done. Wallace had been the one to squash that idea. Now his life had changed forever, and his wife was gone. So much had gone wrong. Emotions had flared, and bad decisions had been made. Now there was nothing left to do but cope. Suddenly, Wallace thought he understood why the Jacksons hadn’t moved away yet. Maybe they realized what had taken their daughter and were simply unwilling to let her death go unavenged. Despite their differences and the throbbing ache in his thigh where Martha had buried the scissors, Wallace had loved his wife and knew that her reactions had been the direct result of her fear. It saddened him to think that he could have prevented it all with a simple pork chop or a pound of raw hamburger. Or by simply taking her to the movies in the next town as she’d suggested. Before he had been ready to leave town as quick as possible. Now he wasn’t sure he would ever leave. If need be, he would stay as many Halloweens as it took until he found the creature’s weakness. Then, he would kill it. He raked his wrists along the rough edge of the toolbox until the duct tape frayed and eventually tore enough that he could free himself. Then, after pulling the scissors out of his thigh, staggering back to the house, and bandaging himself up, Wallace pulled up a lawn chair and sat out on his porch, listening to the wailing of families up and down the street who hadn’t heeded the warnings. He cried right along with them until the sun came up. Then he cried some more. If you enjoyed the story, check other the other tales in the collection. Ray Bradbury is one of my heroes. I was saddened when he passed away a few years back, but thankfully, he left behind an enormous body of work that I can read and re-read whenever the urge strikes. As tribute to the man whose work ignited a spark in me to create, I’ve been going back and rediscovering some of my favorite Bradbury stories. Recently, I read "The Veldt" from his excellent collection, "The Illustrated Man." One of the great things about short stories or any kind of creative work is that you can glean something new each time you peruse it. Maybe "The Veldt" struck a chord with me today because I have a nine-year-old son, and the story took on new meaning because I’m seeing things from a father’s perspective now. Maybe it’s because it has been a couple of years since I read it last, and experience has given me a new outlook on certain things. Or maybe I was simply in a different frame of mind this go round. Whatever the case, something immediately struck me about this story and about Bradbury as an author. Bradbury has been credited as a sort of space-age prophet who foresaw some of the technological breakthroughs we enjoy today and envisioned many of the advancements in science that have made our lives easier. Yet, in reading "The Veldt," it seems he also prophesied the role-reversal of kids dominating their parents and the widespread prevalence of Mother and Father catering to their children’s every whim by substituting electronic gadgetry for actual parenting. Now, for those who haven’t read the story, I won’t include any spoilers here. However, I think "The Veldt" should serve as a cautionary tale for all those parents like George and Lydia Hadley, who allow technology to take over and raise their children for them. The Hadleys have a home that provides every creature comfort one could imagine, all the way from a table that prepares meals to lighting that turns itself off and on to shoe tie-ers which remove even the need for that particular mundane skill. Then, there is the nursery which establishes a telepathic link with the Hadley children and transforms itself into whatever scene the kids envision in their minds. Lydia Hadley becomes uncomfortable with the way in which their entire lives revolve around technology, and she suggests that they unplug for a while. The children have a different idea. So many times now parents park their children in front of a television set, thrust an Xbox controller into their hands, settle them at a computer, or equip them with a smart phone to pacify them. In the process, the bond between parent and child is weakened, and eventually the children come to rely on television and the Internet for their parenting because the parents themselves are too busy changing their status on Facebook or staring at their own smartphones to make sure they don’t miss an incoming text. The children, left on their own, find a certain lack of authority governing their lives and consider themselves to be autonomous or at the very least on equal footing with Mom and Dad. It doesn’t sound possible until you stop and watch the power struggles that go on daily between children and their parents and realize that a lot of times the children win those fights. "The Veldt" was originally published around 1951. Long before cell phones. Long before gaming consoles. Long before home computers and the Internet. It seems strange that even back then Bradbury would foresee the need to unplug from technology every now and then or else face the same sort of dire consequences as the Hadleys. It also is a little frightening and uncanny how his vision of today’s kids is so accurate in certain ways. Peter and Wendy Hadley are brats of the highest order, and when the threat of removing their technology and pulling the plug on their virtual reality nursery is placed before them, they aren’t having it. Tell a child in today’s world that you are going to pack his Xbox up for a few days or block texting on her cell phone and watch the fireworks commence. Having worked in the cell phone industry for a few years, I’ve seen first hand how kids dominate well-intentioned parents who come in, never planning to spend hundreds of dollars on smartphones and Internet plans. Yet time after time the parents say no, advertise to the world that they are putting their foot down and not giving in to the petulant child, only to pick that foot up a few minutes later as they dig out their credit card to pay for an Android phone or an Ipad or some other piece of technology that will keep their kids occupied so the parents themselves can play Words with Friends or Tweet some new and uninteresting bit of trivia about what they are having for lunch. So what are my thoughts after reading "The Veldt?" First, Bradbury’s short stories are among the finest ever written, and "The Veldt" is a wonderful example of that. Second, maybe I should examine my own parenting from time to time and not be so quick to abandon my son to the wonders of video games and computers. I certainly don’t want to end up a slave to both my son and his gadgets. With that said, I think I’ll act on what I’ve learned, turn off my computer, and go spend some time with my son. Maybe we’ll read a book or go outside or find something else fun to do that doesn’t involve a power button. If you're a fan of Bradbury's short stories and enjoy books like "The October Country," "The Illustrated Man," or "The Martian Chronicles," consider giving my little collection of strange tales a try. 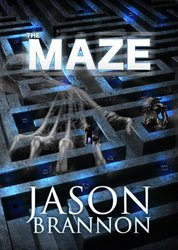 Whispers from The Maze? 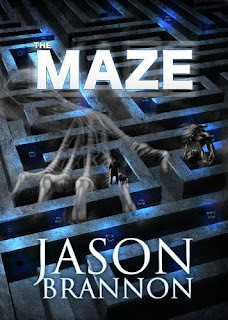 What is The Maze exactly? So glad you asked. All will be revealed soon. Stay tuned.